So if you’ve got income, a 401(k), a brokerage account, a house; really assets of any kind… you need to wake up to this trend. The rise of socialism is only one…We’re in the early stages in what will undoubtedly grow into an all-out assault on people with assets. And it will culminate in the 2020 presidential elections. Magda Romanska grew up in Poland in the '80s and saw the rise and fall of socialism firsthand. After the utopia was officially cancelled, she moved to the States in '94. There, she was surprised to see, in the Land of the Free of all places, a growing support for socialism. For that, she decided to write a little-known "Survival Guide" for Americans. Just in case America tips to the other side and goes full blown utopia, too. In 1981, Poland began experiencing massive shortages of meat, butter, flour, rice, and cereal. Next came alcohol, cigarettes, coffee, chocolate, and gas. At this point, of course, all food was rationed out by the government. And, as a just, equal and fair society (all united under what many call “Not Real Socialism”), everyone received an equal ration. The rations were exchanged for monthly government coupons, which everyone received at their places of work, alongside their paychecks (the latter of which were, at this point, entirely worthless). Unapproved private enterprise outside of the rationing system was illegal. But, to be fair, the people were still allowed to barter. The food was delivered about three times a month to the stores. Nobody knew (except sometimes the shopgirls) when it would come. A truck would just show up carrying the goods for the next couple weeks. when meat supplies became dangerously low, they started Vegetarian Monday, where it became illegal to eat meat on a Monday. This desperate attempt to free up supply for the rest of the week only made it worse, as everyone feared meat would be banned altogether. Unapproved shops popped up accepting foreign currencies, selling black market products (and even sometimes meat on Monday). The law obviously forbade it. It was revealing, after all, what everyone already knew: Free and private enterprise works well at providing what people need because of the minimization of micromanagement and central control, not despite it. One woman, Magda Romanska, grew up in Poland in the ‘80s and saw all of this firsthand. After the utopia was officially cancelled, she moved to the States in ‘94. There, she was surprised to see, in the Land of the Free of all places, a growing support for socialism. For that, she decided to write a little-known “Survival Guide” for Americans. Just in case America, you know, goes full blown utopia, too. 1] First things first, get to know the coupon system inside and out. You can’t break the rules until you know what they are. “This was never a miss,” she writes. “The Slavic soul, eternally torn by existential anxieties of meta-proportions, is naturally prone to alcoholism, and our town, no different from any other Polish town, was always full of drunk philosophers and poets. Although the drunks were normally reviled, when the coupons came around, they became the town heroes. The drunks were always willing to give up their meat coupons for more vodka. #2] Feign illness to win the sympathy of state actors. “A second food-organizing strategy,” says Magda, “is to fabricate a health concern that would qualify you for additional meat coupons. “Anemia or various muscle and bone disorders are always a good idea. If you are lucky and have a friend who is a doctor, he or she might be willing to help you choose a disease that requires an additional consumption of protein. 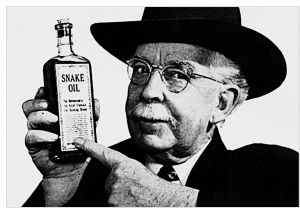 If you don’t have a doctor friend, be prepared to bribe one so he or she is willing to write you a prescription for an extra meat ration. If you’re really lucky, you, too, will develop a rare and obscure illness that will place you in a higher standing than your peers. #3] Befriend (or bribe) the shopgirls. “The third reliable tactic,” Magda goes on, “is to bribe local shopgirls to tip you off when food (or anything else for that matter) is going to be delivered to their shop, so you can be the first one in line. “This approach requires dogged practice and perspicacious people skills, as you have to know who to bribe and how. Money doesn’t mean anything in a world where there are no material goods to buy. That’s the beauty of socialism. In capitalism, there are goods you can buy, and that is why it is corrupt. “You can imagine my absolute shock when I arrived in the U.S. and realized that money does have a purpose, and that, yes, there are goods you can actually simply purchase without coupons or bribing anyone. In socialism, money really isn’t everything since there is nothing, I mean nothing, that you can buy with it. “Under socialism, bribing is an art, as enigmatic and effervescent as any other art out there. A shopgirl in the grocery store, for example, can be bribed with pantyhose. A shopgirl in the lingerie department can be bribed with milk and eggs for her kids. “A shopgirl in the cosmetics department can be bribed with ham or oranges so that she can bribe a shopgirl in the electronics store with a bottle of perfume to tip you off when the laundry machine or radios will show up. A shopgirl in the pharmacy can be bribed with a pair of American jeans and lipstick. “And a shopgirl in a shoe store can be bribed with hemorrhoid cream and aspirin for her father. In other words, to be able to effectively manage your bribery ring, you need to get to know all of your shopgirls and their current needs. If she’s pregnant, she’ll need plastic bottles and terrycloth diapers for her baby. “If she’s getting married, she will need white shoes. The goal of the effective bribing strategy is to maintain long-term relationships with all your shopgirls, remembering their birthdays, their mothers’ birthdays, the ages of their children, and the histories of all their ailments, from late periods to dandruff. Once you have a shopgirl’s favor, she’s useful for two reasons: First, says Magda, “she could give you a tip about when goods, from cheese to bras, will be ‘thrown’ into the stores; and second, she could hide one or two objects of your desire under the counter and sell them to you after the locust swarm of hungry masses left her store. “Getting something from ‘under the counter’ led to a well-earned gasconade; it was a sign of your supreme intellect and superior social status. It made it patently obvious to everyone how well you were connected, elevating you in an instant on our inconspicuously sturdy socialist social ladder. “Oh, I got it from under the counter,” you boasted, casually flaunting your new spoils. #4] Master the fine art of standing in line. "To stand in line," Magda writes, "you need to bring a sleeping bag, pillow, and thermos with hot drink of your choice. "Many professional line standers had developed their own specialty recipes for the drink that would most effectively keep their bodies warm and their minds awake." Their secret? "A proper ratio of coffee to vodka," Magda writes, "meticulously blended into a smooth, full-bodied mix to suit one's mental capacities and body weight. "If you haven't been blessed with the stamina of the professional line standers, you can always find solace in the arrangement with your family members to stand in your place for 6- to 8-hour shifts for three to seven days, depending on the desired object in question. "Bread lines would take sometimes as little as 24 hours, but the lines for toilet paper or sugar could take three days to a week, sometimes even longer. What robust community-building took place in these ludic lines, with people chatting up their neighbors, and finding lifelong friends, lovers, and spouses. Nothing bonds you like not knowing whether, after four nights of freezing temperatures, you will or won't be able to buy a wreath of 12 rolls of toilet paper. "Since pregnant women and women with children are given priority, make sure that all the pregnant women and children in the family are on high alert and ready to be called to duty or borrowed on a moment's notice." "If you do have a small, carry-on child of your own, consider starting a small business renting your child for a fee. "This was a very profitable venture for some entrepreneurial mothers. My mother, unfortunately, had no ambitions to own her own business, so I missed out on the adventures of being a rent-a-child, but I did have an opportunity to participate in some momentous line events, like, for example, the 1982 four-day line for pork chops." When all else fails, says Magda, "you need to send one or two members of your family to live in the country. Under socialism, the countryside has more streamlined access to food, so one of your family members has to move there, regardless of how much of an urbanite he or she claims to be." Fortunately for Magda, her grandparents already lived out in the sticks: "Though they didn't have any land of their own, they did raise their own chickens in the backyard of their house where the garage used to be. "Every Sunday, we travelled to my grandparents' to pick up a few eggs, which my grandfather carefully wrapped in our socialist newspaper one by one. Every now and then, when someone was sick, a chicken had to be sacrificed to make chicken soup for the sick person. My father, the sensitive intellectual type that he always was, would always find something else to do when chicken-slaughter time came. My grandfather was like his son, so the job of killing the chicken would inevitably fall to my grandmother. "My mother—the chicken-slayer-in-waiting—specialized in plucking it. Plucking a chicken was always a joyous affair for us kids as we blithely spread the floating feathers all over the house, thus successfully irritating both my mother and my grandmother at the same time, as they were trying in vain to amass all of the feathers in one place with the noble goal of making out of them either a pillow or a comforter at some later time, during the long, dark winter evenings." Socialism, taken to its logical endgame, is awesome if you find yourself at the top of the socialist food chain. For everyone else, however… well… meh. But, for the sake inclusivity, we're going to show both sides of the story. But that's just one perspective in an entire spectrum. Venezuela's fearless leader Maduro, has been living large, hiring famous chefs to serve him steak… even being graced by the now-infamous "Salt Bae". Maduro's kids are known to openly flaunt their wealth as they trot around the world, visiting all the major hotspots. His stepsons, Yoswal and Walter Gavidia Flores, reportedly spent $45,000 on accomodation at the Ritz in Paris (equal to the monthly wages of 2,000 Venezuelans). The idea of socialism helps to make the world very simple, absent of complexity. Things are easy. Under the socialist banner, there's no need for one to absolve himself of his own contradictions. For example, a 70% tax rate on the rich so that everyone can have a free education? Easy to whittle down onto a placard. Easy to say, "I believe this is the right thing to do." It's simple and clear, too. Pull this lever, free education comes out the other side. This is, unfortunately, where things get a little less awesome, and, in the interest of inclusivity, again, we must change hats… for only a moment. Many socialists (in America, at least) cheer for a multicultural world, abhor open nationalism or patriotism, but think it's only right that the rich pay for everyone's education under a single flag… their own flag. Whether or not one believes this is immoral is irrelevant. The rich might, on the other end of the spectrum, believe that taking the vast majority of what one has rightly earned, without putting a gun to anyone's head, is immoral as well. nvestors will simply invest in other countries with lower tax rates, buy a villa on the beach, and plant a new flag. And the new countries will gladly take them in. The tax revenues that were supposed to pay for everyone's education will disappear along with the jobs that were expected after one has been educated. No jobs for anyone? Equality wins. Few socialist leaders, as alluded to earlier, actually walk the talk. See, many cheered as Bernie Sanders, in a rare moment of lucidity, decried the 25 different scents of deodorant in the grocery store. It's apparently irrelevant, however, that he owns three houses with seven bathrooms -- with enough space behind his mirrors to hold every brand of deodorant in America. Voting the right guy or gal into office will NOT dismantle the powers that SHOULD NOT BE! 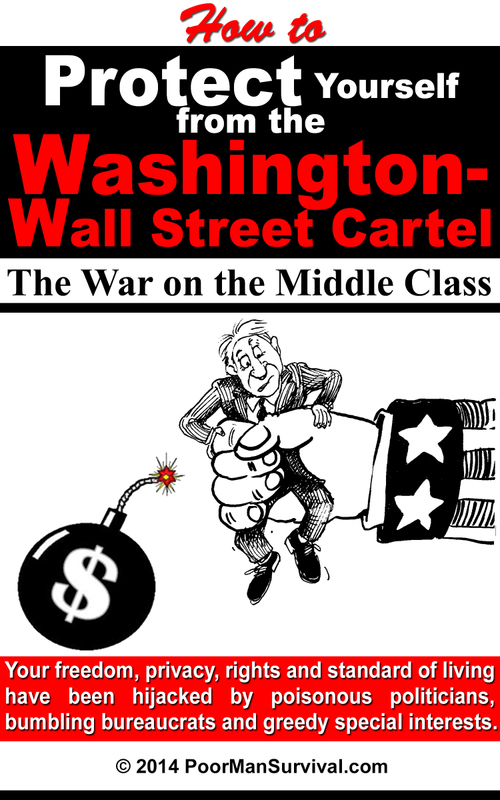 Our nation has fought non-stop wars on drugs, terror and YOUR PRIVACY [all of which created a Stasi-like state which have robbed us of our rights, freedoms and have cost untold billions while enriching Wall Street fat cats and their DC politicians]. Freedom loving people have gotten the shaft and have been forced to pay for their own demise. The cost of imprisoning each of California’s 130,000 inmates to taxpayers runs $75, 560 while the cost for one year’s tuition, room and board at Harvard is $63,025…yet, 40% of Americans aged 18-34 live with their parents or other family member. This is all happening because investment returns have been too low…government made promises it won’t be able to keep. This is very evident among postal workers. Generous health and retirement benefits [where can private sector workers retire with full benefits after 20 years?] ensure customers continue paying higher rates each year. We’re already overextended and more socialist promises won’t work. One study found that one-third of all American teenagers haven’t read a single book in more than a year. Almost one-third of all Millennials are still living with their parents. You can take your 'official' inflation measure and multiply it by either a 2x or a 3x to get the true rate. Michigan’s John Dingell recently passed away at age 92. 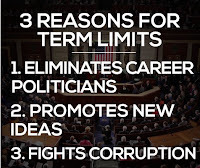 He was the longest “serving” Congressman in history at 56 years and was preceded by his father and his wife now fills his shoes-Term limits is a term not in their vocabulary and apparently, the office is something they passed down in their family will! We live in scary times. What frightens me is that people are really sucking this crap up as if it will be their salvation-they have no clue & they will attack anyone who differs with their opinion. I see it frequently on twitter. These are usually young people who cannot carry on a conversation without resorting to foul language or inane nonsense. People are becoming more ignorant, incredibly so and they never learn from history! By the way, I like your little hidden thought about politicians giving up their paycheck after a 3rd term in office. 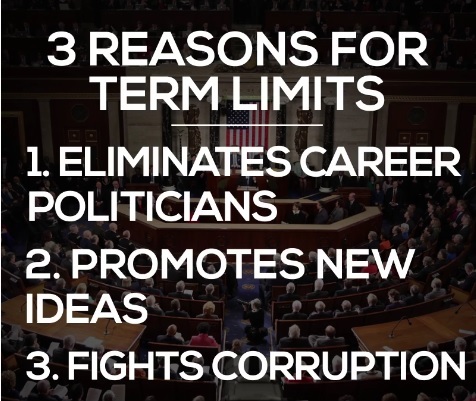 We need to look into how to make this happen since we can't seem to make term limits happen.